I continued my W&OD Trail beer & wine tour with a ride from Falls Church to North Arlington. 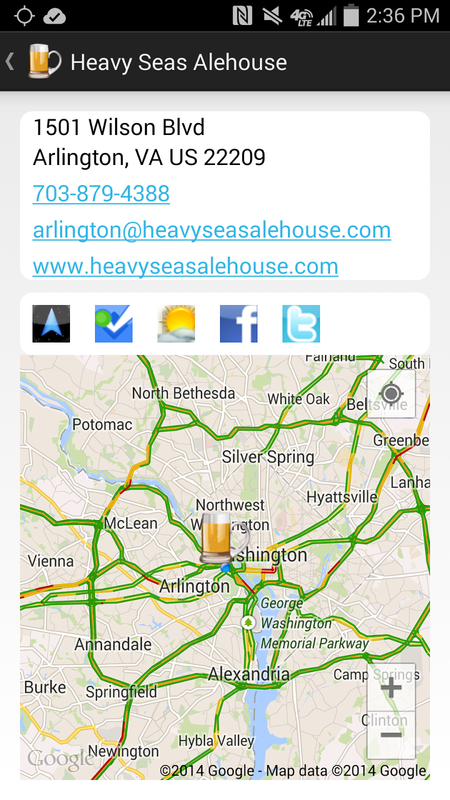 This route doesn't include any production wineries or breweries, but does include two cool beer bars and a Maryland import, the Heavy Seas Alehouse in Rosslyn. This restaurant serves all the Heavy Seas Brewing Company brews as well as guest taps from Hardywood Park Craft Brewery and Port City Brewing Company among others. To get to the alehouse from the bike path take Nash Street into Rosslyn right at the Marriott. Turn right on Key street, then an immediate left on Oak Street and Heavy Seas is just up the hill. Get used to the hills. 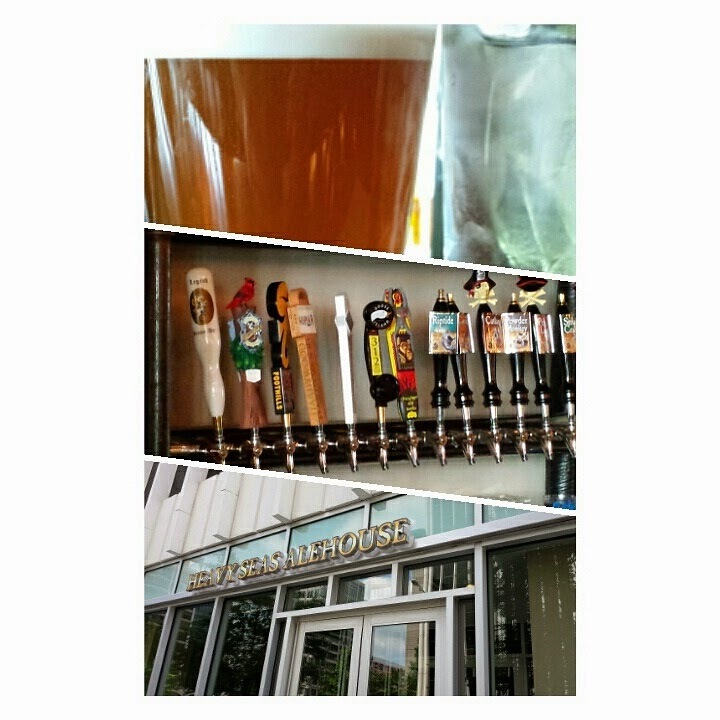 The alehouse has a few beers on cask and I enjoyed the Powder Monkey Pale Ale. 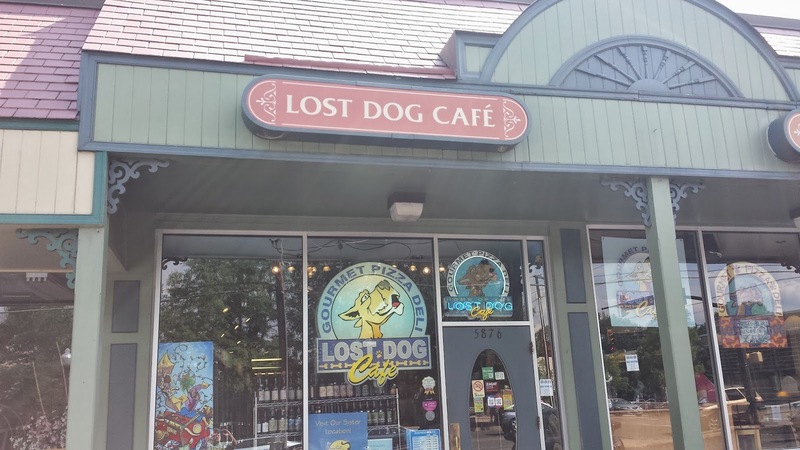 Heading west, I knew their was a Lost Dog restaurant in the Westover area so I swapped theCompass Winery Brewery Distillery mobile app for the Lost Dog Cafe mobile app. This tapfinder application shows the four Lost Dog locations as well as the beers on tap at each location. The Lost Dog app's integration with my phone's navigation guided me through the Custis Trail between mile marker 3&4, where the bike path crosses under Route 66. Just before the underpass take a right (or coming from the West cross under RT 66 and take a quick left), a left on 11th and then a quick right on Kenilworth which leads to a bike line on Washington Blvd. 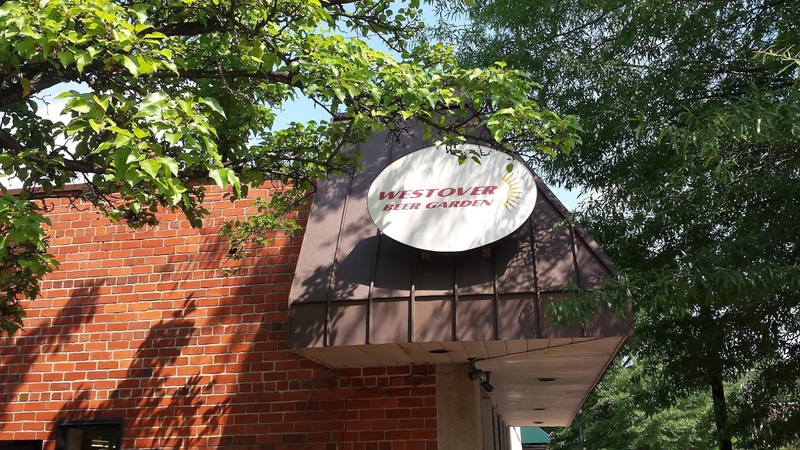 Hang a left and after pedaling up and down a hill - you are in Westover with Lost Dog on your left and the Westover Market Beer Garden on your right. The Lost Dog Cafe maintains a rotating list of excellent craft beer and by setting preferences on their mobile app, you an be alerted when a specific beer or a favorite beer is tapped. Since it's been a while since I sat in the Beer Garden I chose the Westover Market for this trip and at a crowded World Cup watching bar, saw that one of my favorite beers, the Lost Rhino Brewing Co. Zlaty Pils was on tap. This beer was home brewed by a friend and colleague Aaron Hermes, for a Pilsner Urquell homebrew contest. After winning the contest, Lost Rhino offered to brew the recipe commercially. It's fresh, full bodied, slightly hoppy and a solid beer. Cheers and safe travels. Update I: I've been asked to include area bike shops available for emergency repairs. In Falls Church - N Arlington, Tri 360 is on the Trail at Lee Highway. The where Lee Highway intersects the trail again look for Big Wheel Bikes.